Super Teacher Worksheets has lots of printable activities for Thanksgiving. 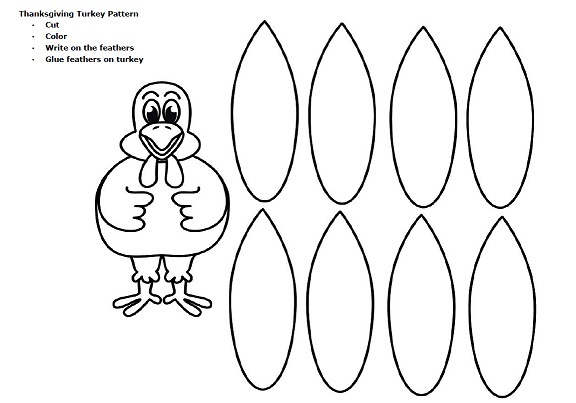 Print out this turkey pattern worksheet to cut and glue together. Students can color the feathers or write the things they are thankful for on each feather. Also, check out our diorama scene that depicts the first Thanksgiving dinner. Students cut and glue the Native Americans and Pilgrims onto the scene. Visit our Thanksgiving Worksheets page to view the entire collection.